CELEBRATE MFG DAY IN STYLE! MFG Day is the perfect chance to honor your employees for their contributions--and to recruit the next generation of industrial workers. Last year, more than 12 million people around the US celebrated MFG DAY, demonstrating pride in their crafts. MFG DAY is your chance to reinforce that sense of pride and accomplishment by showcasing your work to the generation of industrial workers. According to Deloitte and the Manufacturing Institute, nearly 3.5 million manufacturing jobs will need to be filled over the next 10 years. If you're like most industrial employers, finding skilled employees is becoming a bigger challenge every year. MFG DAY is just one way to begin that important recruitment process by inviting high school students to your event. And what better way to celebrate than to give them a lasting memento of their visit. 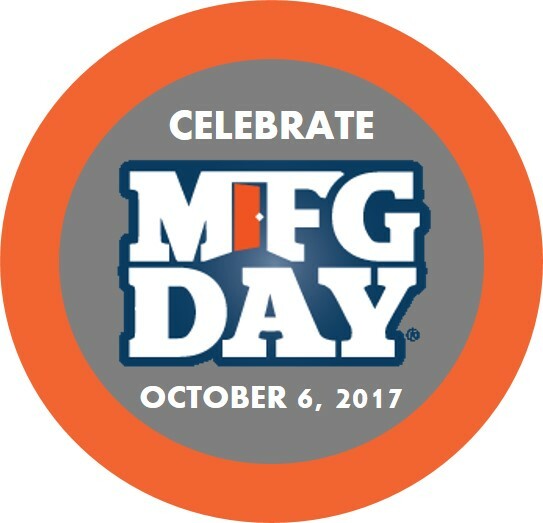 Likewise, MFG DAY is your chance to show appreciation to your employees and celebrate their contributions to your business. And the perfect way to cap it off is with a small gift that reminds them of their importance. Contact us today to learn more about how Rivet|MRO can support your MFG DAY celebration! Held on the first Friday of October, MFG DAY addresses common misconceptions about manufacturing by giving manufacturers an opportunity to open their doors and show, in a coordinated effort, what manufacturing is — and what it isn’t. By working together during and after MFG DAY, manufacturers will begin to address the skilled labor shortage they face, connect with future generations, take charge of the public image of manufacturing, and ensure the ongoing prosperity of the whole industry. Be sure to check out the infographic below to learn more. Rivet|MRO can help you celebrate MFG DAY in style, with an endless assortment of promotional products for your industrial employees and customers.